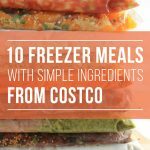 CLICK HERE FOR THE FREE PRINTABLE RECIPES AND FULL SHOPPING LIST. What’s great about creating chicken dump dinners like this? Save time! 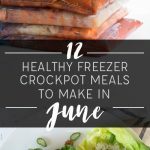 You can create many meals in a short amount of time. 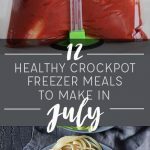 With a little planning and organization I was able to create ten meals in less than two hours. Eat healthy! I purposely made meals with healthy ingredients that I knew my family would like. Purchase ingredients that make preparation easy. Buy cans of diced tomatoes rather than dicing fresh ones at home. Select fresh chicken that has been sliced rather than whole chicken breasts. These options may be more expensive but they will save you time in the long run. Chose recipes with similar ingredients. I made recipes with fresh chicken breast purchased from Costco. 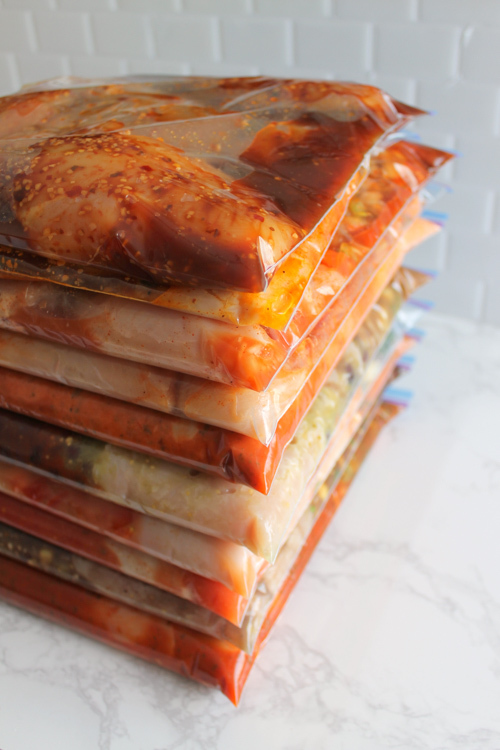 Having multiple recipes start with the same ingredient allowed me to use my time wisely and batch out these recipes faster than if I had used a different protein for all ten. 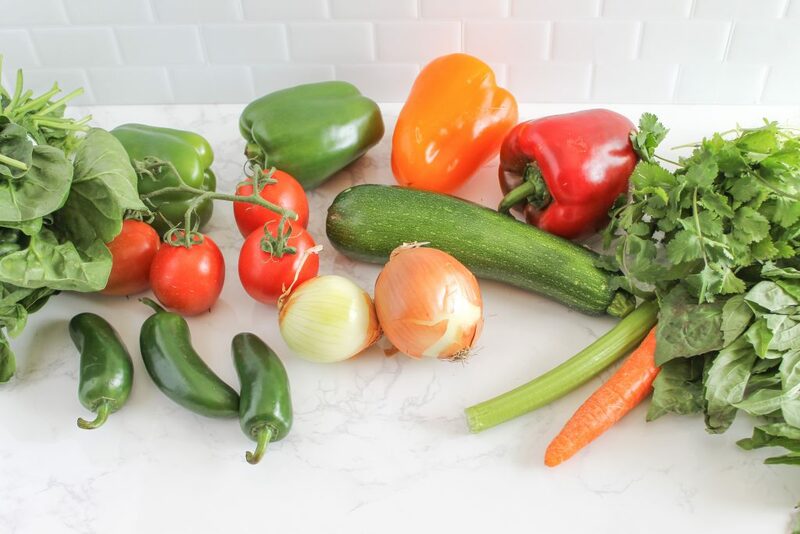 In some of the recipes I made quick substitutions so that I could use similar ingredients (for example, tomato sauce instead of crushed tomatoes – I updated all of the recipes in the printable list to reflect the changes that I made). Start with a clean workspace. A little organization in the kitchen can go a long way. I like to have all of my freezer bags labeled, recipes printed, and supplies ready to go before I begin to assemble my freezer bags. 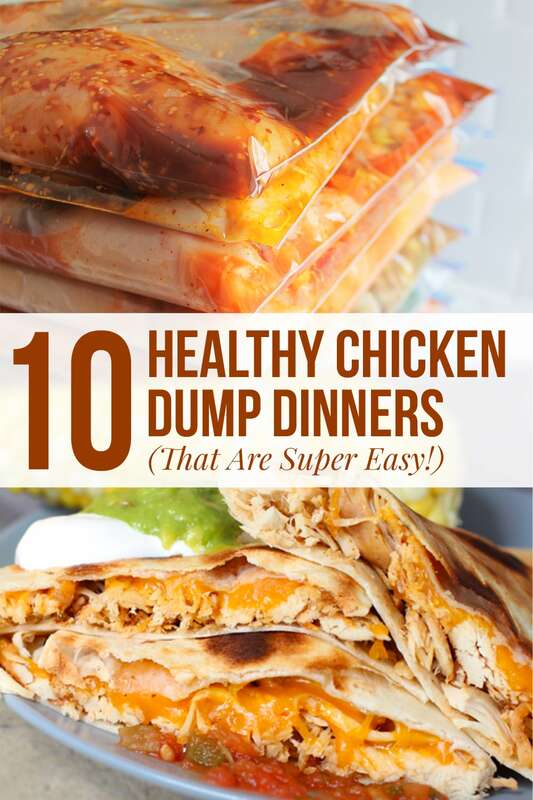 We enjoy all of these recipes but my kids request the Chicken Quesadillas most often. 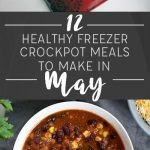 I put the Chicken Tortilla Soup in the crockpot for an easy weeknight meal yesterday and absolutely loved it. Thoughts or questions? Please leave a comment below and I’ll respond ASAP. 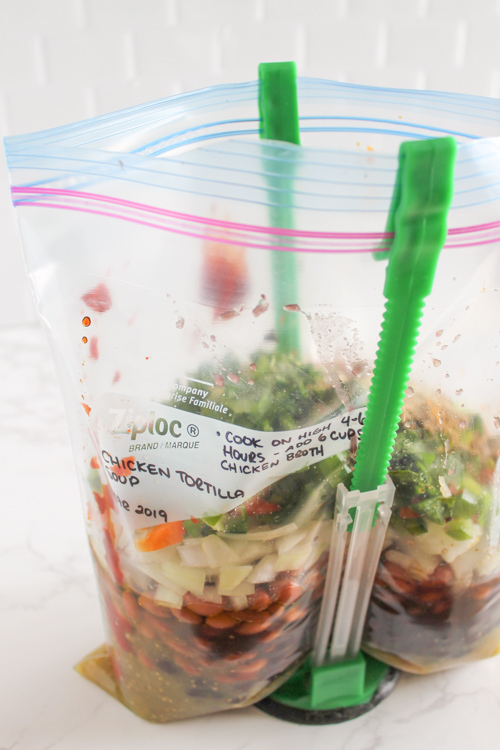 These easy freezer meals have been a life-saver for me and I’d love to help you make them too!